The BCD-2000A is a full length Zorro II/III and ISA card. It only uses the ISA and Zorro slots for power, no data lines are used so it is enough to simply plug it into one slot type or the other. 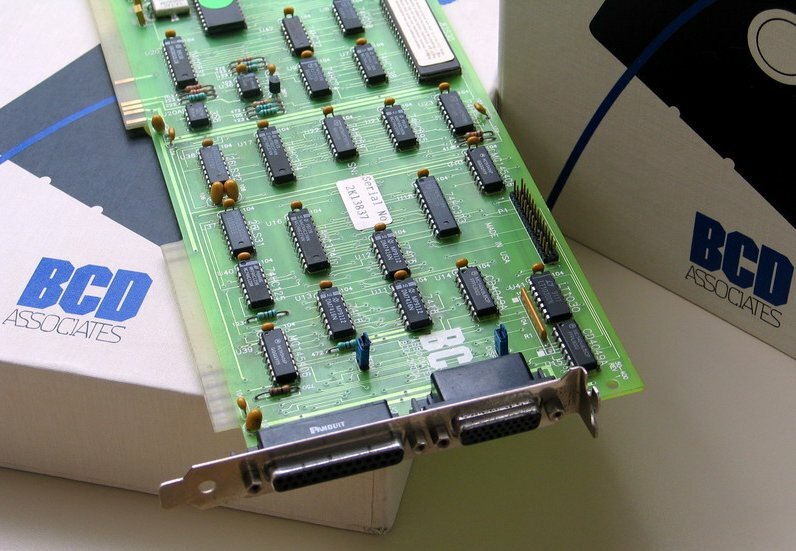 The card connects to the internal serial pin header in the A2000 via a ribbon cable. Because the connector for the Amiga side is keyed, it probably won't fit in A2000's which are revision 4.4 and older. Revision 6.2 motherboards have no problem. 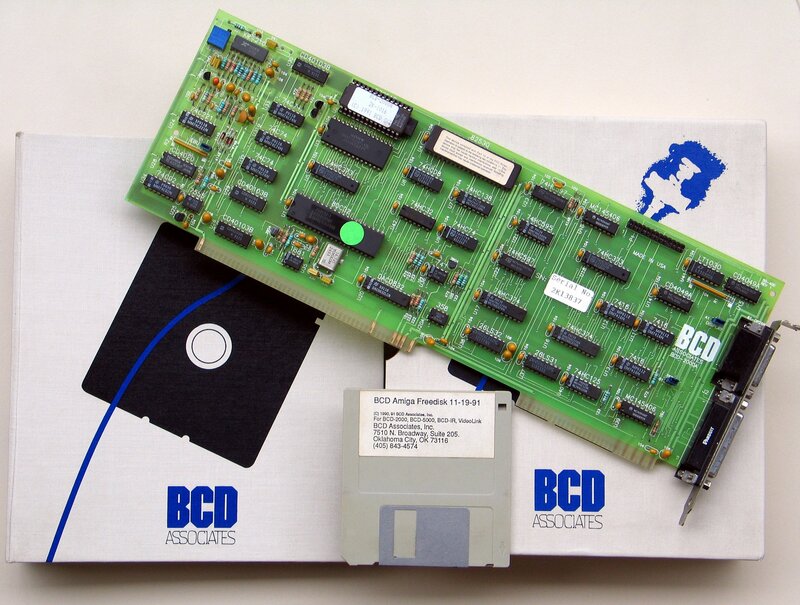 The manual states that the card can also be used in A3000 and A4000 machines using a special external serial adaptor, however this was not supplied with the board. 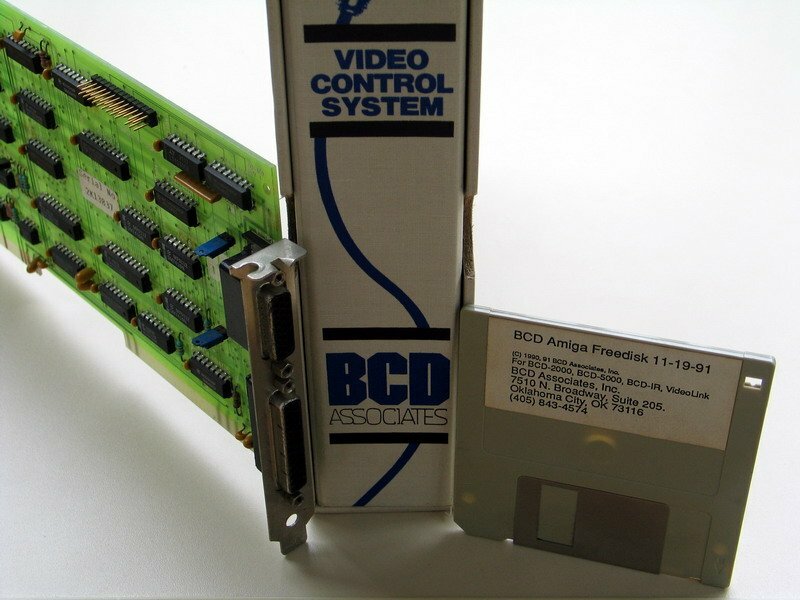 The unit was also supplied with a floppy disk labelled "BCD Amiga FreeDisk" and a cable for connecting VTRs/VCRs.According to an advert in Video Toaster User, the BCD-2000A is a "single frame controller" with additional control features such as SMPTE Time Code generator and reader, EBU generator, RS422/232 serial and parallel controller.